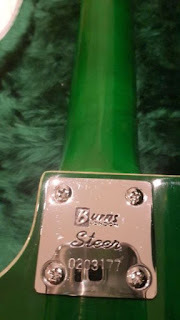 Guitar Blog: Rare Burns Steer from the early 2000s. 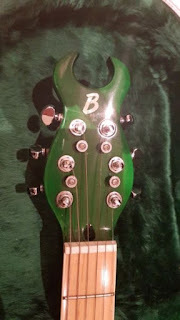 Possible prototype. Rare Burns Steer from the early 2000s. Possible prototype. 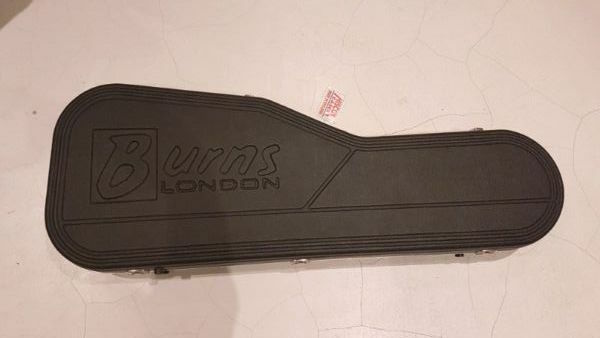 Thanks to Bill Lovegrove on the facebook Burns Guitars and Amplifiers page for posting this Burns Steer. This rare and possible prototype guitar looks like the love child of a regular Steer and a Brian May signature Red Special. Burns was producing both models at the time so the intermingling was quite likely. 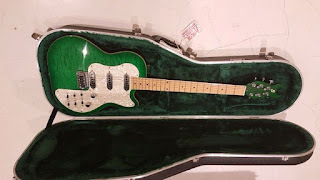 Though the body, neck, and headstock are those of a cutaway Steer, the floating tremolo, Burns Trisonic pickups, and switching are very much Brian May. I wonder if the pickups are wired in series as on the Brian May model. Currently listed in South Africa. I wonder if the seller will ship to Canada. That is very cool. 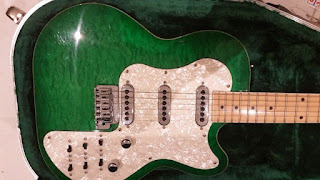 I was going to make a Tele style body for the gifs Brighton rocks pickups and Brian May switching setup I've got. This makes me want to make some sawdust!